Dryers are essential appliances in our house, and we use this appliance every day. It is really difficult to live a day without a dryer. To keep your dryer working properly you need to clean dryer vent regularly. If you keep your dryer vent clean, that will save you from unexpected fire from the dryer. If you don’t know how to clean dryer vent properly, then you land at the right place. 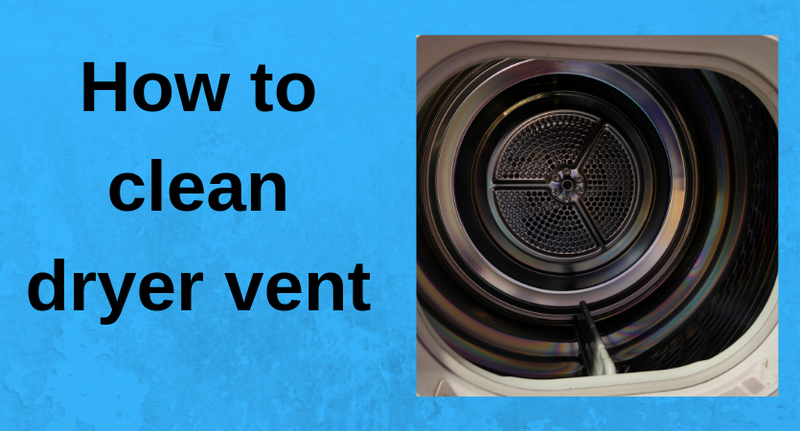 Here in this step by step guide, I will teach you how you can clean your dryer vent appropriately. Though both machines works to dry there is a big difference between them. So let’s talk about some major difference between a hair dryer and cloth dryer. If you are really interested in hair dryer, then you can read an article on rusk dryer reviews for more information. The size of a hairdryer is much smaller than a cloth dryer. Hair dryer used to dry the hair on the other hand cloth dryer is a big machine that used to dry a large number of clothes in houses every day. Though you can use a hair dryer to dry your single piece of cloth you can’t use cloth dryer for drying your hair. Hair dryer runs on battery, and cloth dryer runs on electricity. Step 1: Take the necessary equipment. Collect a ladder to open the vent on the exterior of your home (if it’s not up high skip this one). Step 2: Unplug the dryer. Now we have collected all the necessary equipment for cleaning the dryer. It’s time to unplug the dryer. Take the dryer away from the wall and unplug it. Step 3: Pick up fallen cloths. Pick the fallen clothes from behind the dryer. If you don’t clean behind your dryer frequently then there will be a significant amount of lint, take the vacuum cleaner and clean lint. Step 4: Disconnect exterior duct hose from back of the dryer. Now it’s time to disconnect the exterior duct hose from the dryer. Take your flat head screwdriver, unscrew the screw which is situated at the top of the fitting then slide it off. Step 5: Disconnect exterior duct hose from the wall. Now you can easily disconnect the exterior duct hose from the wall because you have done a similar thing in the previous step. So to do this follow step 4. Step 6: Clean the exterior duct hose. It’s time to clean the exterior duct hose, clean the exterior duct hose by using vacuum cleaner and hose attachment. Step 7: Prepare the duct cleaning brush and power drill. Now prepare the duct cleaning brush and power drill for cleaning the hose. Keep one thing in mind that your power drill is fully charged. First, attach the brush head to the first pole and keep other connections pole nearby. After completing cleaning the pole reached area continue adding extender pole until the brush reaches outside. Step 8: Remove the exterior vent hood. Remove the exterior vent hood which is located outside of your house so that you can discharge the lint outside as you push it from the inside. Step 9: Cleaning the dryer duct from the interior. It’s time to go back inside your home and start cleaning the dryer duct from the interior. You will need to keep a person outside of your house so that he/she can tell you when the cleaning brush reaches the exterior. It creates the most common dryer problems. So clean this sincerely. Clean the dryer duct by using the brush/rod assembly in the duct opening in the wall where the dryer was connected. Push the brush one foot at a time into the duct. As you clean, you will need additional roads until the brush reaches the outside of the house. When you are cleaning make sure that you twist the rod clockwise, this will help you to grab the lint. Here is another important thing you must keep in mind that never twist the rod anticlockwise. If you twist the rod anticlockwise, the poles or brush may unscrew inside the duct of the wall. Step 10: Collect the lint. Now go outside of the house and collect the lint that you pushed through the duct through the brush. Step 11: Setting up the dryer for operation. You have successfully clean the dryer vent. Now it’s time to set the dryer for operation. So to do that reassemble the dryer then attach the duct to the wall and dryer, after that reattach the fittings and plug the unit. You will experience the difference of your dryer performance after completing those above steps. 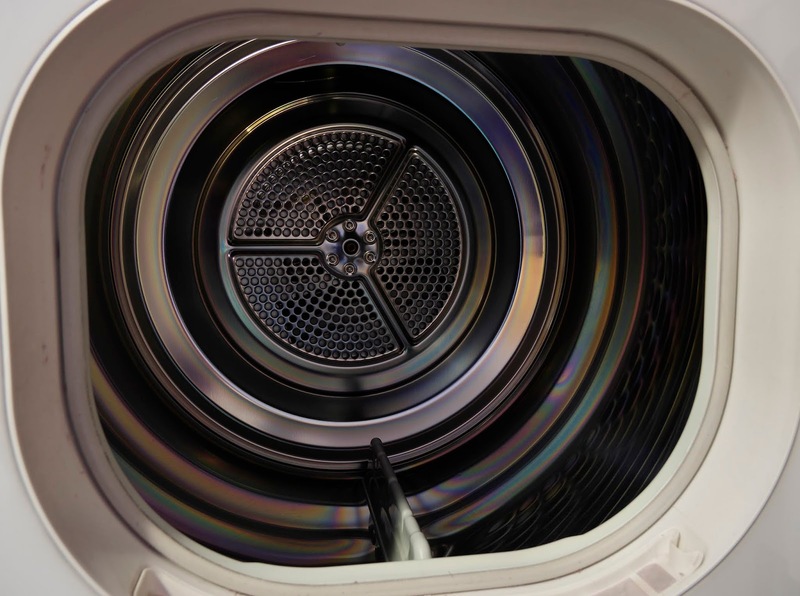 You will be able to save a lot of energy after cleaning your dryer. If you still face any problem to clean your dryer vent, then leave a comment below I will try to solve that problem.